Gilead Sciences has announced agreements with a handful of Indian pharmaceutical manufacturers to produce and sell generic versions of two new hepatitis C drugs – sofosbuvir and ledipasvir. Approximately 180 million people live with hepatitis C today, with 350,000 people dying annually of the disease. New oral drugs like sofosbuvir and ledipasvir, known as direct-acting antivirals (DAAs), hold significant promise to improve treatment outcomes for hepatitis C patients around the world, with studies showing high cure rates. US and EU regulators have approved two new DAAs within the last 10 months, and others are in development. However, the high prices set by Gilead for sofosbuvir, for example, are an important barrier to scaling up access to diagnostics and treatment. Increasing generic competition is an important strategy in reducing prices and increasing sustainable affordable access when companies file for patent protection for essential medicines. Although the Gilead agreements will allow some generic companies to market generic versions of both drugs in approximately 90 countries regardless of the patent status in those countries, most of the countries expected to be included in the license agreements are low-income economies, many of which may not have had patent protection on these new drugs in the first place. Hepatitis C is especially prevalent in middle-income countries – with approximately 73% of the burden in these countries – but disappointingly many of these countries remain excluded from accessing both Gilead’s lowest price and the generic versions licensed by these agreements. It remains to be seen whether in reality the terms and conditions offered by Gilead will enable widespread access to an optimised and affordable regimen needed for millions of people in low and middle income countries, including patients seeking treatment from MSF. MSF is preparing to initiate treatment in a few medical projects using new direct acting antivirals for people living with chronic HCV. “Gilead’s licensing terms fall far short of ensuring widespread affordable access to these new drugs in middle-income countries, where over 70 percent of people with hepatitis C live today. Gilead’s deal excludes many middle-income countries considered by industry to be profitable emerging markets, even though people living with chronic hepatitis C in these countries often come from poor and marginalised communities with little ability to pay for expensive medicines. Rohit Malpani, Director of Policy and Analysis, Médecins Sans Frontières, Access Campaign. Earlier this year, Gilead Sciences approached multiple generics manufacturers in India to sign licensing agreements for sofosbuvir and ledipasvir. Some key limitations of what is so far known about Gilead’s terms and conditions are highlighted here. Gilead and the Indian generic companies are signing the agreements before the Indian patent office has had the opportunity to determine whether the patent claims on these two new drugs deserved to be granted or rejected. Multiple patent oppositions have been filed on Gilead’s key patents in India by treatment groups and generics firms. Egypt has rejected key patents on sofosbuvir and a local firm in Egypt has already registered and will sell sofosbuvir in the Egyptian market without any license with Gilead. The licenses are expected to set precise terms by which companies can make generic equivalents and where and under what circumstances those generics and the raw material (active pharmaceutical ingredients, or API) can be manufactured and sold. For example, because Ukraine is a middle-income country excluded from the deal, MSF will not be able to use affordable Indian generics for its medical project in Ukraine when MSF initiates treatment for hepatitis C as a part of the recently-awarded UNITAID grant. Sofosbuvir is likely to be the key drug in combinations that are included in WHO’s treatment guidelines. However, another drug that can be paired with sofobuvir to offer a pan-genotypic treatment regimen, GS5816, has not been included in the license deals, even though phase 2 results have been very promising. In territories excluded from these deals, Gilead is prohibiting generic competition from those generics companies that are signing a license agreement with Gilead, and will be able to charge high prices for these life-saving medicines based on a monopoly position. Voluntary license agreements often provide generics firms with access only to those markets which a multinational company does not want to or cannot exploit through monopolistic marketing, distribution and sales. In this license agreement, restrictions that prohibit generic companies from exporting the licensed HCV products to middle-income countries potentially exclude millions of patients living with HCV from access to treatment. Most of the countries expected to be included in the license agreements will be low-income economies, but Hepatitis C is especially prevalent in middle-income countries – with approximately 73% of the burden in these countries. 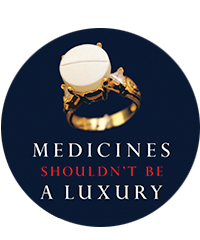 In nearly all low and middle income countries, governments will struggle to pay for new treatments, especially in the absence of donor assistance, forcing patients to pay out of pocket. The biggest crunch will come in middle-income countries who are excluded from this deal and Gilead’s LIC pricing. Recent and upcoming patent oppositions filed against sofosbuvir, including in India, could have been used by generic companies to seek better terms from Gilead, or to simply develop these products without a license agreement and to supply countries for which no patents have been granted, will not be granted or for which barriers can be overcome through the exercise of public health safeguards available to companies, civil society and all governments. Robust generic competition is the key to bringing down prices and increasing access to sofosbuvir, which Gilead has priced at $1,000 per pill in high-income countries, or US$84,000 for 12 weeks’ treatment, and around US$900 for the same in low-income countries. Prices for middle-income developing countries will be significantly higher than the $900 price, particularly in the private market A study by researchers at Liverpool University however has found that a twelve-week course of sofosbuvir could cost as low as $101 and ledipasvir only $93, which can be achieved with large scale generic production.